Here we are again folks... 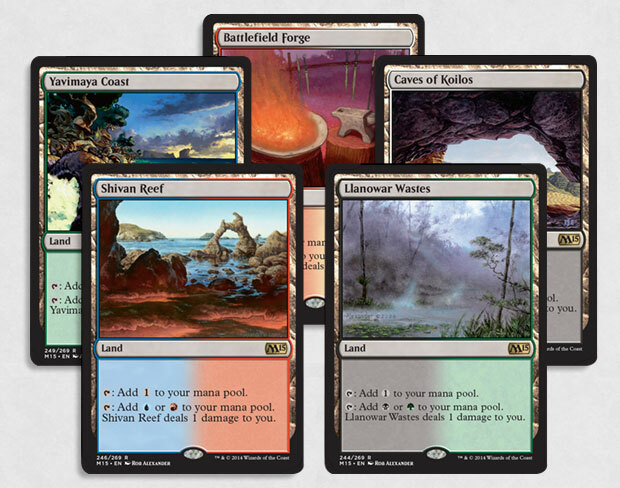 The end of week one of M15 spoilers. We've seen new Planeswalkers, we've seen a new Sliver land, and we've even met some old friends in their newest form (Ob Nixilis and Avacyn). Seems kind of good. 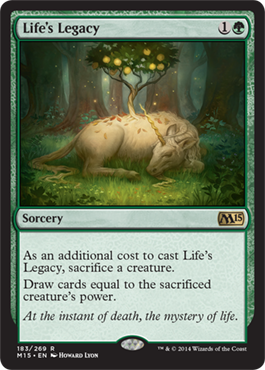 Card draw in green, and it puts a creature into your graveyard for a cheap price. I think this will add to Dredge in Standard. Three for three. We'll find out about Garruk on Monday, so we'll just see, but he is the sixth Planeswalker of the set and has an actual playable card. 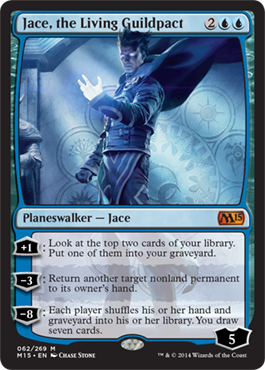 And now we have our newest planeswalker... Jace! A four mana planeswalker with five loyalty. The +1 helps with any sort of dredge deck because you can put things into your graveyard to get back later. His -3 is like Unsummon, except in sorcery form. And lastly, his -8 is Elixir or Immortality but replaces the lifegain with card draw. It also does it to your opponent, but you get seven cards and they don't.